Ultium® Competition Horse Formula delivers a concentrated amount of energy to these working horses, by distributing this energy over several different sources (vegetable oils, beet pulp and a proprietary mix of other sources). Because this feed is energy dense, less feed is required for maintenance of body condition when compared to feeds with lower energy density, such as straight grains. 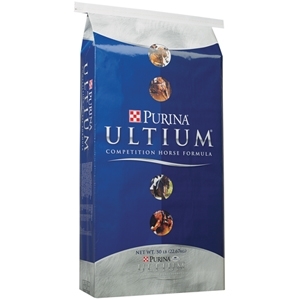 Ultium® Competition Horse Formula delivers mental focus and manageability, quick recovery and muscle repair, prolonged stamina, a strong top line and less digestive upset.